Denise has over 20 years of accounting experience, with the past 15 years focusing on the unique accounting needs of small to medium sized businesses and their owners. Most recently Denise was the managing partner of Jacobs & Hanlon LLP. Denise is continuing the same values and methodology for serving clients that she shared with her former partner at Jacobs & Hanlon, LLP over the last 10 years. She started her career working as an accountant for several Fortune 500 companies in the Boston area. This large corporation accounting experience included work in financial accounting, management reporting, budgeting, corporate benchmark analysis and corporate tax returns. She chose to leave the corporate world to pursue accounting and taxation work within smaller business environments, including restaurants, retail shops and professional services. These experiences shaped her understanding of – and affinity for – the unique accounting and tax requirements of small- and medium-size business owners. 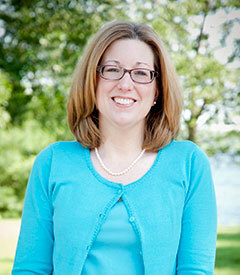 Denise is licensed as a CPA in Massachusetts and is a certified QuickBooks Pro-Advisor and certified Xero Advisor. She is a member of the American Institute of CPAs and the Massachusetts Society of Certified Public Accountants. She holds a post baccalaureate degree in accounting from the University of Massachusetts and a bachelor’s in business administration from Bryant University in Smithfield, R.I.
Stephanie has over 20 years of public accounting experience, with a focus on individual and small business accounting. She is passionate about helping and educating her clients. Stephanie started her career in a management position at a family business, which gives her unique insight into her small business client’s perspective. She enjoys working with individuals and small businesses, consulting with them on their accounting and auditing needs. Stephanie has a Bachelor’s of Science in Accounting and Taxation from UMass Boston and is a graduate of Boston Latin Academy. She is originally from Boston and lives in the town of Canton with her family. Stephanie enjoys going to sporting and musical events, and spending time at home with her family. Kathy has over 30 years of small business management experience, with the last 4+ years concentrated in the Tax and Accounting field. She is a certified ProAdvisor in QuickBooks Online and Desktop versions. Kathy has a Bachelor’s of Science in Marketing from Bentley University and a Certificate in Accounting from Burdett College in Boston. She grew up in Revere and now lives in Foxboro with her husband. In her free time she enjoys hiking, walking, cooking and Bible study. Most accounting firms foster dependence in their clients. At Hanlon & Associates we foster independence. By taking a decidedly different approach to our work with individuals and small businesses, our clients become informed partners in the accounting process. Together we’ll discuss your goals, help you identify options and even envision new possibilities.